Phoenix Data Management provides a complete records management storage and retrieval service for all types of active business data. One of their purpose built records centre in Gravesend, Kent had been constructed over an existing car park which wasn’t level. Whilst this made sound sense as it made good use of the available space at the location, the deviation of the floor slab of up to 60mm within a relatively short distance created a problem. Phoenix asked Dexion for a solution to overcome the difficult site conditions. After initially meeting the Phoenix team and examining the current operation, Dexion saw that there were two main issues: the sloping site and the pitch of the roof, which gave fluctuating roof heights of between 7 and 11 metres. Dexion proposed a P90 Pallet Racking three-tier archive storage system with integral floors. This would maximise storage capacity, address the problem of the sloping floor and make full use of the varying roof height. Pallet Racking is one of Dexion’s core products. It can be installed in single-tier formation or, as in the case with Phoenix, multi-tier, which is ideal for when a storage solution needs to use the full volume of a building or to maximise storage within a tight footprint. Despite the fact that this was a major installation, careful planning and regular site meetings meant that disruption to Phoenix’s operation was kept to a minimum. The end result is that Phoenix is now able to store and protect the data contained in a total of 104556 boxes for their clients. 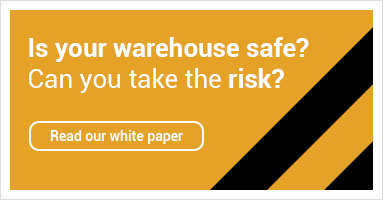 "The multi-tier racking has assisted us in maximising the space within our warehouse, much greater than if we had used a traditional mezzanine floor system. We now have a long term, high quality storage system that has provided us with maximum capacity within the given footprint of our warehouse.” - Peter Barrett, Sales Director, Phoenix Data Management Ltd.
Phoenix Data Management has over 15 years experience in the records management industry. They cover South East London and wider UK area from three purpose built facilities based in Kent. Phoenix Data Management has built the business around providing a premium level of service that is demonstrably better than their competitors. With the backing of their parent company Feabrex, they have been able to invest in the very best technology, WMS and infrastructure to ensure steady growth.